The Elysée Palace says Lebanon’s recently-resigned prime minister will meet French President Emmanuel Macron during his scheduled trip to Paris this weekend (November 18). Saad Hariri accepted the invitation after meeting French Foreign Minister Jean-Yves Le Drian in Saudi Arabia, where he has remained since announcing he was stepping down. French officials say they don’t know how long Hariri will stay, but he is said to be returning to Beirut after the trip. Once back, Hariri is expected to hand in his resignation in person – President Michel Aoun has otherwise refused to accept it. 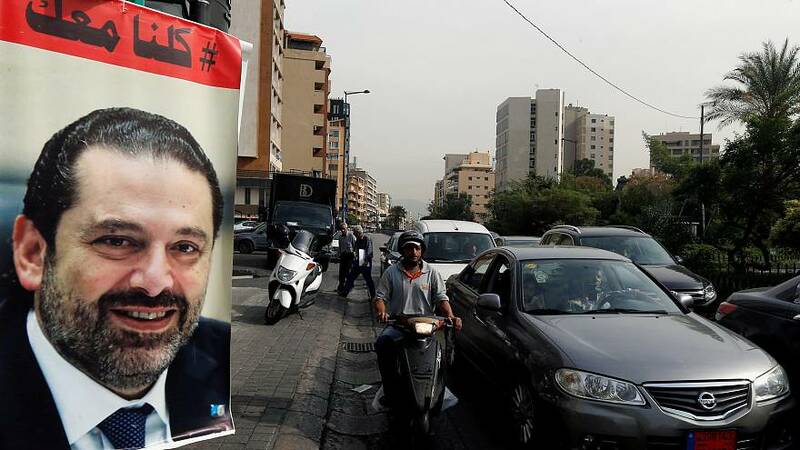 Aoun had accused Saudi officials of ‘detaining’ Hariri, however the prime minister said he feared for his life, citing growing regional pressure from Hezbollah and Iran. It thrust Lebanon into a domestic political crisis and launched it into the overarching rivalry between ally Saudi Arabia and a bloc led by Iran. The president has said he hopes the situation will blow over now that Hariri has decided to leave Saudi Arabia for France. “His arrival will ease tensions by showing he’s free to move around”, a French diplomatic source told Reuters.